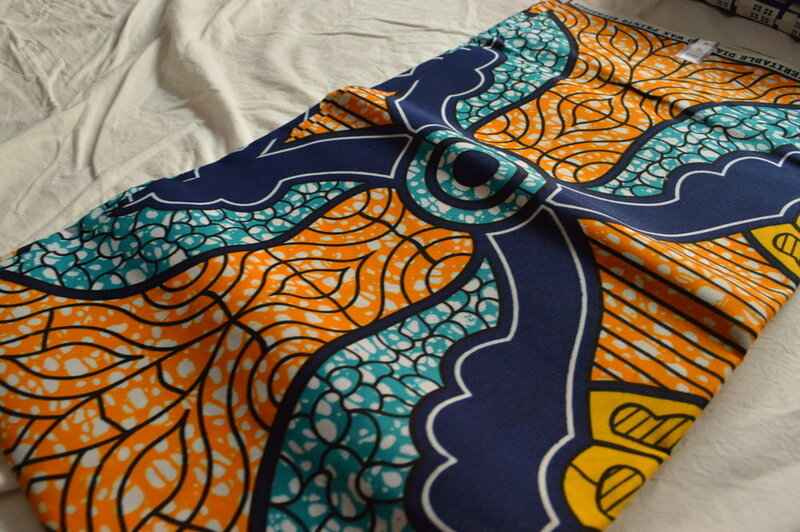 I picked this up in London, from an ethical fabric market selling fabrics from around the world. It was a bit of a goldmine day! I really love the patterns here, and the swirls of colour too.